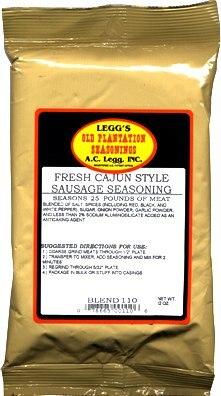 Leggs Old Plantation Cajun Style sausage seasoning makes a fantastic spicy fresh Cajun sausage. But don't stop there, this product is a great all around seasoning too! 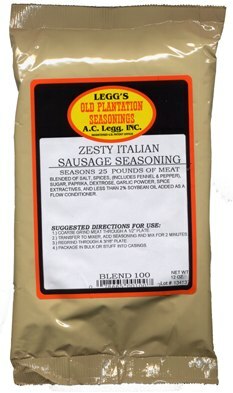 Use this authentic cajun seasoning to season soups, stews, jambalaya, and gumbo. 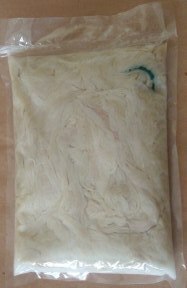 For fresh sausage stuff in sheep casings for small diameter, use 32-35mm hog casings for the big links or rope sausage, or pack in bulk bags for patties, pan sausage, etc. 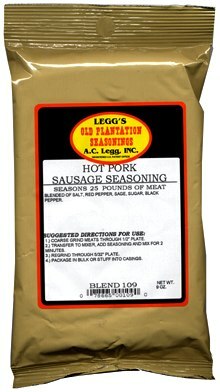 A little on the spicy side, one bag of seasoning makes 25 pounds of cajun sausage. Also try as a tasso rub. Blended of Salt, Spices (including Red, White, and Black Pepper), Sugar, Onion Powder, Garlic Powder. Contains less than 2% Tricalciam Phosphate added as an anti-caking agent. As close to the real deal as you will ever get! From JBorque of Athens, Texas on 2/14/2018 . From eagles3948 of Marionville, Missouri on 12/29/2009 .